The benchlands of East Kelowna has been prime agricultural land for well over 100 years now. 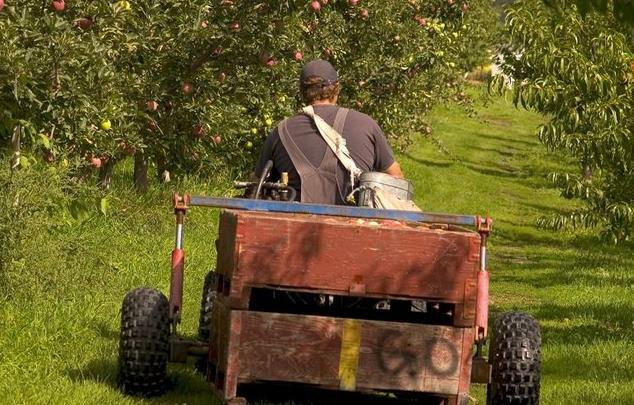 You'll be riding through orchards and gardens that were first planted by the original settlers of the area in the late 1800's and early 1900's. From here, fruit was shipped around the world. One of Kelowna's most recognized chefs, Mark Filitow will introduce you to his favorite farm-to-table sources and provide an intimate insider's view of this bountiful region. We'll stop at local wineries (including Tantalus Vineyards and Meadow Vista Honey Wines), herb and flower gardens, Arlo's Honey Farm, Caldwell Heritage Farms, fruit stands and working orchards with plenty of sampling along the way! Optional Gourmet Picnic Lunch (catered by Mark and Details Catering) en route. Copyright 2019 Thompson Okanagan Tourism Association.